Selling a car that I sold ! Excuse me as I am a little vexed. 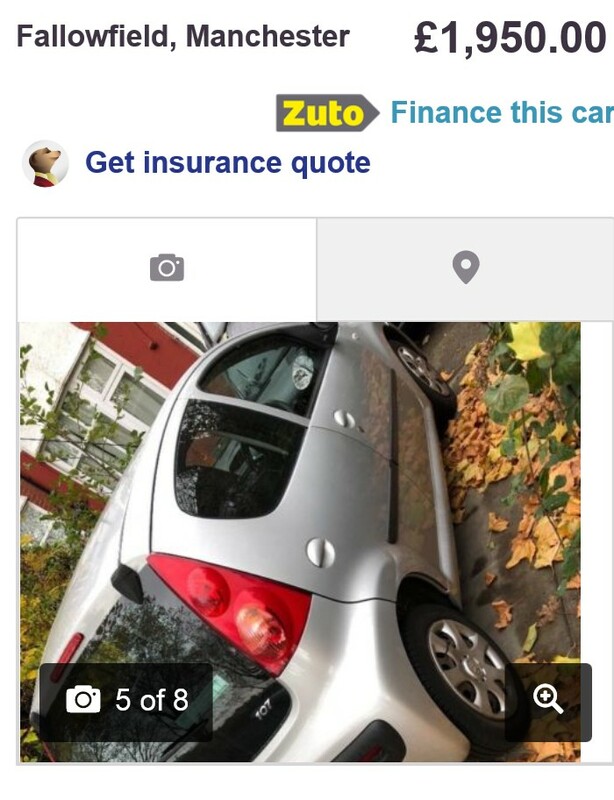 Inadvertently, I found one of my former cars for sale at £550 more than I sold it for which brings me seamlessly on to how not to advertise your car. I’m not going to go into the rigmarole of how I risked my life running, in my sandals against traffic by the Great North Road to get to Motorhog’s salvage yard in Peterborough only to find the gates chained and locked. 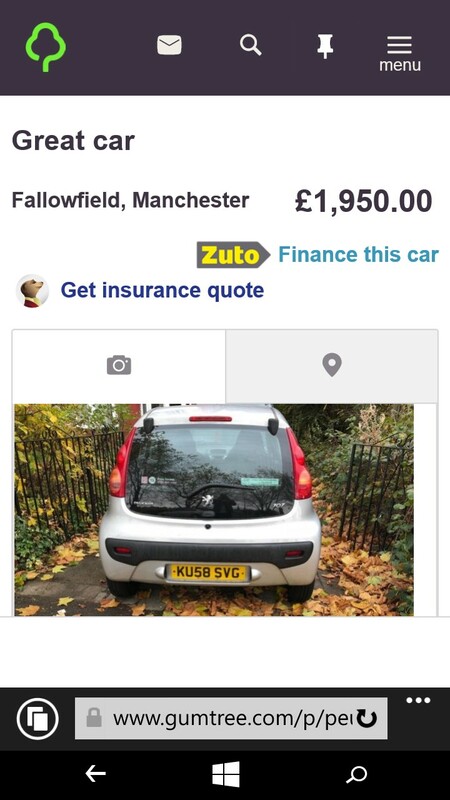 I did eventually get access to a Peugeot 107 which drove back to Manchester with no further issues, thankfully. Only with a new front wing, battery, two replacement tyres and a fresh MOT later did it eventually sell. ‘Oh and I forgot to mention the tortuous task of removing the flowery stickers that had been planted over the 107’s rear doors – you needed long fingernails to remove them which took hours AND I didn’t make much profit – AT ALL ! 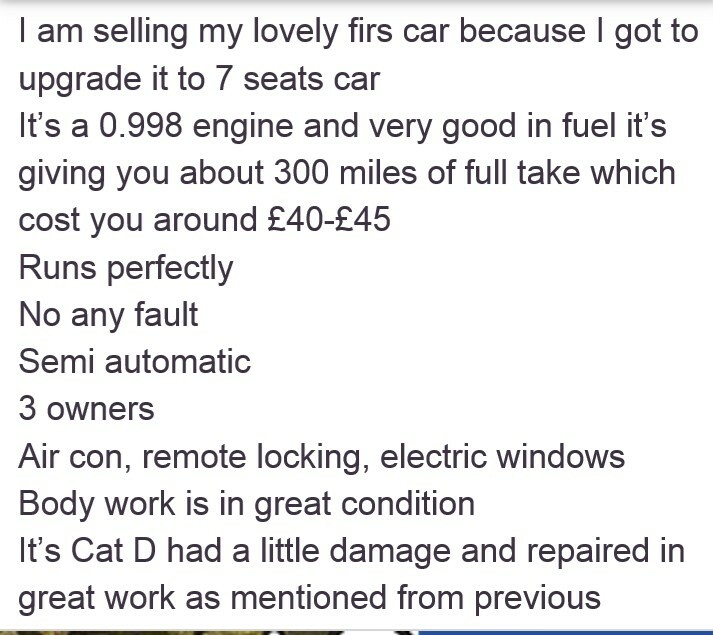 I wouldn’t have minded if the seller had repaired the line dents across the driver’s side or had actually photographed the damage square on to be honest with prospective viewers. The horsey stickers on the tailgate window were still in place indicating that the 107 had been used and abused in the countryside – it did look like a horserider’s car inside and out when I bought it – some clay stained the steering wheel and probably still does. 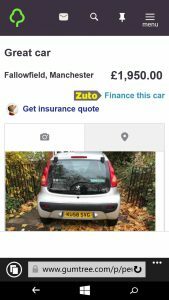 Selling cars becomes a refined art over time but contrarily, buyers have power in their fingertips as they can freely verify mileages, MOT advisory and tax information, with the appropriate website. 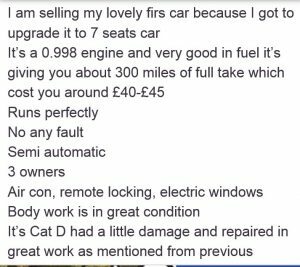 I can even find out how many previous owners a car has without any fee paying or looking at the V5 logbook which is my trade secret. 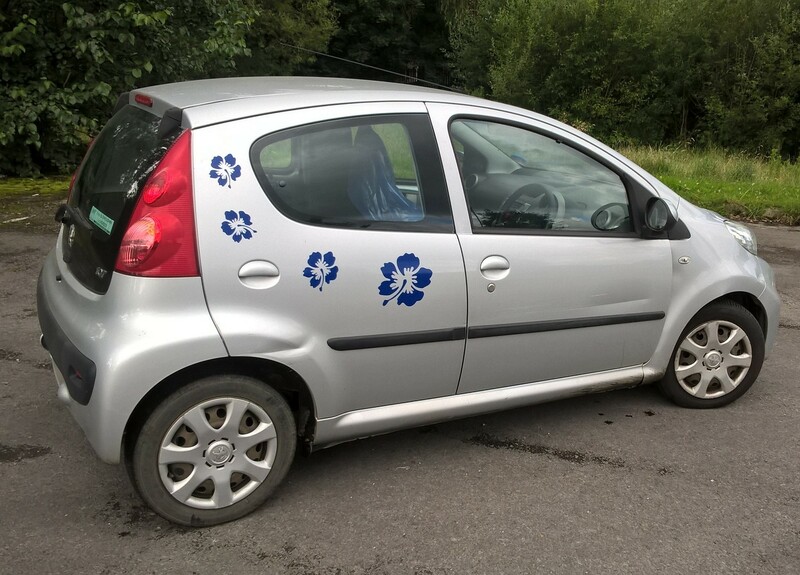 Be honest with the seller and if there is no service history, at least show present and past MOT information. Yearly tax fees are worth stating unless not automatically shown and make sure that the car is clean. 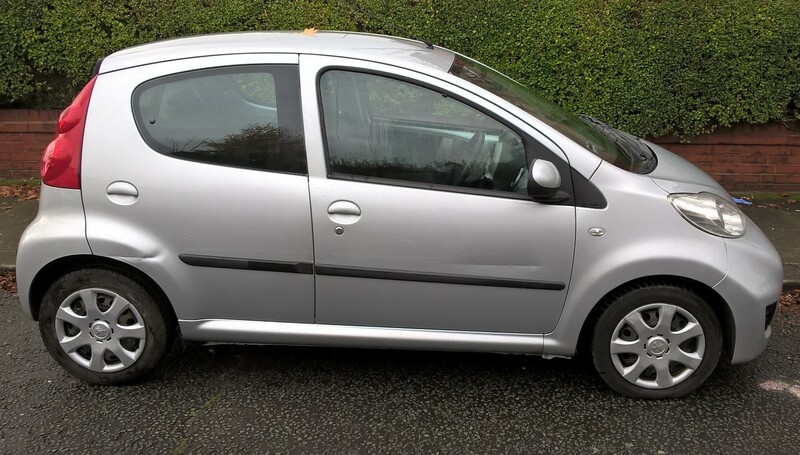 I recently bought a Fiat Punto that had an interior that resembled an ashtray and whose owner had given up on selling it privately as it went to auction. The boot contained pieces of plaster and and oil and water levels were below minimum. An oil leak was an ominous sign although when I jacked up the front, all it turned out to be was a loose oil filter. Someone has already paid me a deposit without even viewing the car ! The 107 advert is littered with anomalies as you can clearly see. 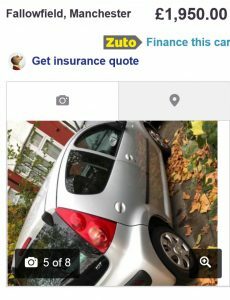 I hope it hasn’t sold…although curiosity got the better of me and a text from the seller stated that it had been sold for £1560 to add to my trading trauma !